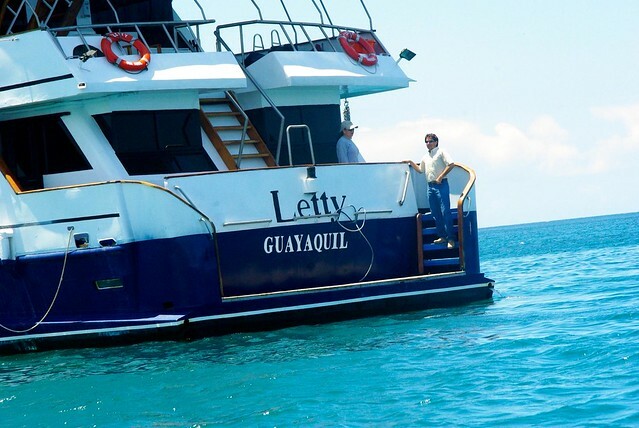 Welcome to the Letty, one of 3 yachts run by Ecoventura in the Galapagos! Along with 17 other guests of all ages, backgrounds and personalities we boarded the Letty with our two guides Cecibel and Gustavo and nine other crew members. In the beginning everyone was quiet, shooting quick glances around, an occasional smile, but not much was said. No one knew each other, but we all knew that after living together for a week on a small boat we would become fast friends. 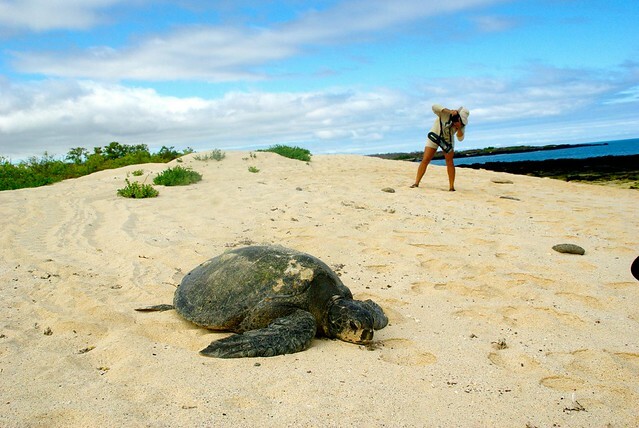 We choose Ecoventura because they are the pacesetter when it comes to sustainable tourism in the Galapagos. 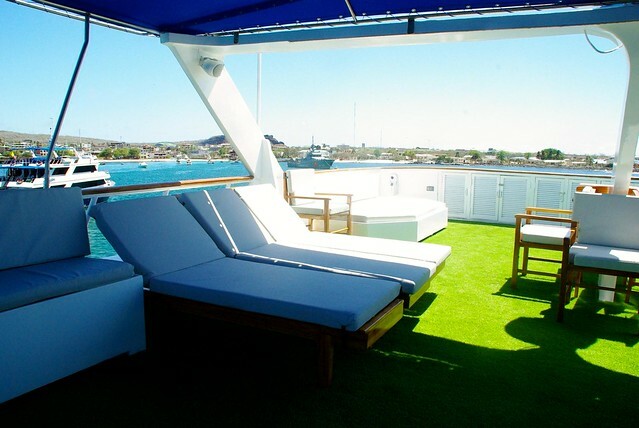 The Eric, one of the three expedition yachts, is the first hybrid yacht in the Galapagos with solar panels and wind generators installed. The company has participated and established a variety of initiatives to offset their footprint on the environment such as the SmartVoyager Certification, the Galapagos Marine Biodiversity Fund and most recently the Ecology Project in 2012. We got to see the Ecology Project firsthand with two high school-aged Galapagueñas on our boat. They got the opportunity to shadow our guides for the week in an attempt to gain a deeper understanding and appreciation for the islands they live on and explore what it would be like to pursue a career as a naturalist guide in their future. On any tour I think the most important component is the guides. 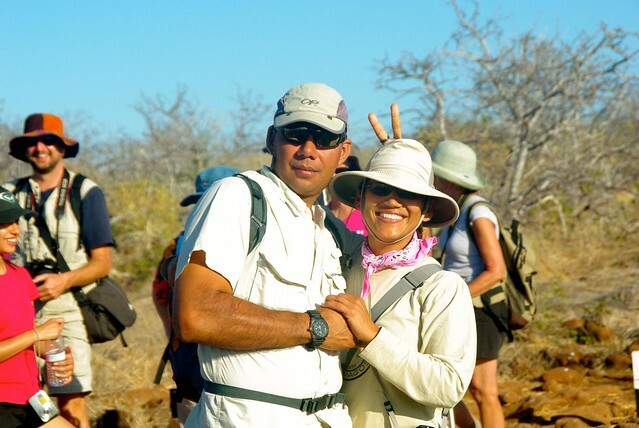 Cecibel and Gustavo would split up our group of 19 into two smaller groups of 9 & 10. This helped us listen to the information and get closer to some of the animals along the trails. More than anything they made the trip fun. They kept everyone engaged and answered every question with enthusiasm and passion. My favorite part was watching Cecibel take photos. You’d think after a guide has been to the same island over and over again she wouldn’t feel the need to bring her camera. It was refreshing to see Cecibel carrying her huge camera everywhere we went and snapping away. When you board the Letty the first room you will see is the conference room. This is where all of your evening briefings are done and your welcome party takes place. 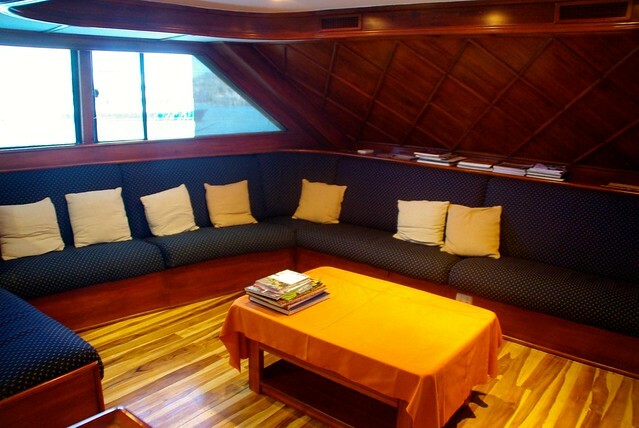 The U-shaped couch is just big enough to fit every guest on the boat – so you can cozy up and get to know each other quickly! The conference room overlooks the dining room. There were a few times that we saw dolphins jumping outside of the window during breakfast and our entire group rushed out to get some good photos. Breakfast and lunch are served buffet style and dinner is a plated 3 course meal including 2 glasses of wine. The rooms were surprisingly comfortable. 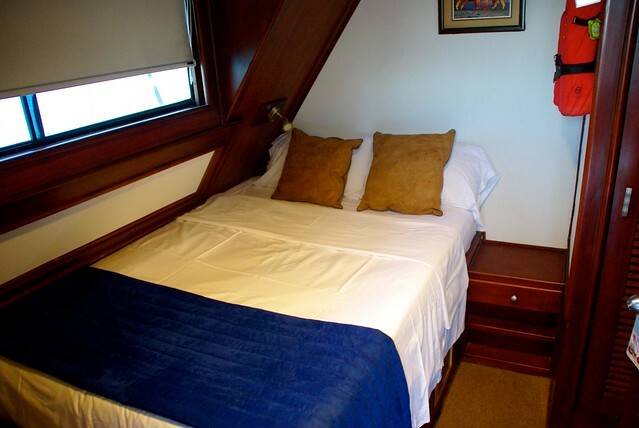 I have been on cruises in the past where the rooms feel cramped and claustrophobic. The beds are great on the Letty! I slept like a baby, occasionally waking up if the sea was rocky but quickly falling back to sleep. We enjoyed having the closet and drawer space to put our big bags in which helped the room feel a bit bigger. The rooms are fully air-conditioned and come with water bottles for you to refill in order to stay hydrated while you are out all day on the islands. 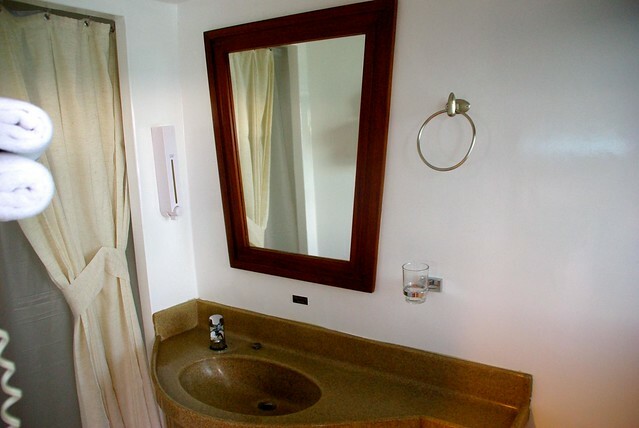 The bathrooms were big in comparison to other cruise bathrooms I have had in the past. There is hot water along with biodegradable shampoo and soap provided by Ecoventura in the shower. 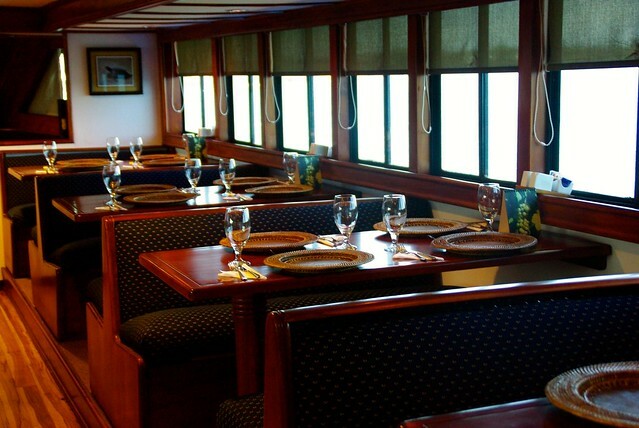 One of my favorite areas of the boat was the observation deck on top. Every day after our morning activity and lunch almost everyone on the boat would bring music or a book and fall asleep for a wonderful siesta! There were 11 people total including the cooks, captains, guides, and electricians. Some we would interact with on a daily basis and some we saw once or twice the entire trip. Claudia was responsible for cleaning the rooms in addition to meeting us at the back of the boat to make sure we don’t bring a bunch of sand/animals/particles from one island to the next. Another important person on the boat was Jairo, the bartender/waiter/he did everything. The dining room was his domain and I was more than impressed at how efficiently and pleasantly he took care of everything surrounding our meals! Not to mention the captain and other crew members who got us safely to our destinations. The entire crew was top-notch. We looked forward to every breakfast/lunch/dinner and snack all week. There were always a variety of options to choose from and I didn’t have a bad meal. My favorite? Taco lunch day! I am a sucker for guacamole, tacos and salsa. 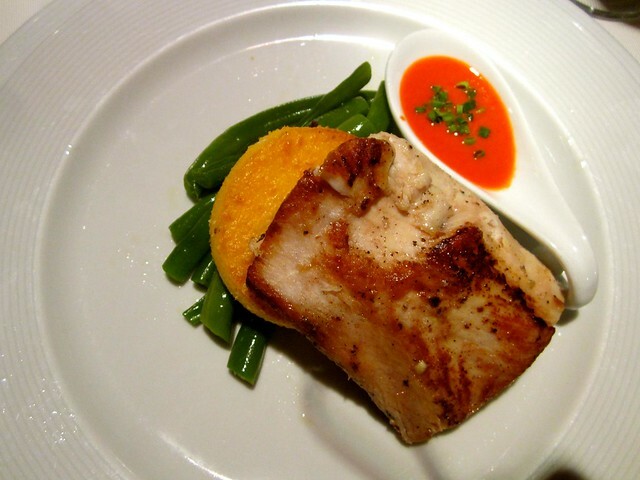 Every night I opted for the fresh fish option and was delighted at the amount of vegetables at every meal! We ate more than we should have. As with any cruise we ate and we ate and we ate some more. 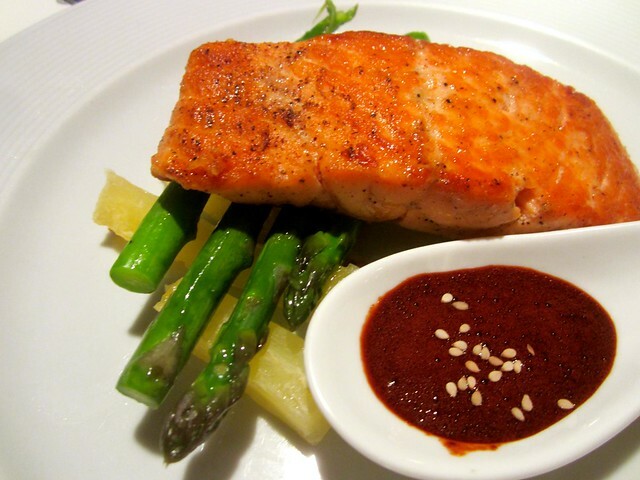 The food is fresh and truly delicious! You will never go hungry with Ecoventura, every time you return from an excursion there is a snack waiting for you and every meal is more than enough to fill you up for the day. Visiting the Galapagos Islands is a must. It is incredible to learn how the Ecuadorian government has worked hard to protect the National Park and you get to experience it firsthand. Before arriving I heard how unafraid the animals were of humans and how close you could get to them, but I didn’t truly understand how amazing this was until we arrived. We saw some of the most beautiful and interesting animals up close and personal! We easily took over 1,000 photos in a week. Everywhere you look is picturesque and unique. Every island you visit is different with a new topography and species of animals. This is a trip I would highly suggest you start planning in 2013! 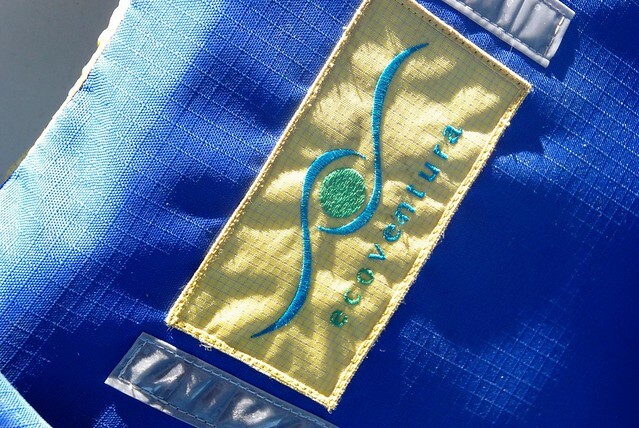 Thanks to Ecoventura for inviting us to join them aboard the Letty, as always the opinions are our own. So delicious! We were really impressed with the boat. Hi Caroline! Just came across your article as I’m getting set to write mine, and am laughing because our experience was so similar! Same boat, same guides, I think the same cabin (#6??) and my favourite meal was…wait for it…taco day! Can’t wait to read your recap! It was one of our favorite memories yet – such an incredible experience!